The Dairy features an open plan living area and kitchen with exposed beams and a woodburner, and 3 lovely bedrooms with en-suite bathrooms. It is set in a courtyard of farm buildings round a beautiful central garden, in English countryside, 4 miles from Shaftesbury and within a 40-minute drive of Sherborne, Salisbury and the South coast. The Dairy is ~2,300 square feet (i.e. spacious) set in 70 acres of farmland belonging to the property. 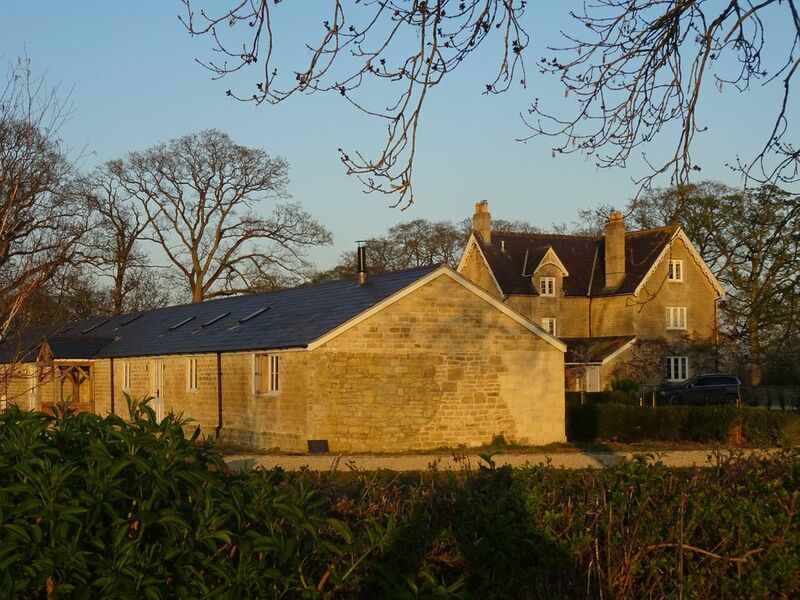 The converted dairy has a modern kitchen, TV in the sitting room and WIFI throughout. Underfloor heating ensures total comfort while each of the three bedrooms has an ensuite bathroom. The dairy was converted using one side of a 19th century farm. Guests can request to use the tennis court. We have lived in the area for five years and are happy to fill guests in on where to eat and what to see, where to shop and what's on during their stay. We can also advise on local walks. Alexia and James have created a delightful home to rent. The decor is simply elegant and open planned, with a large kitchen dining area and sitting area around the fire. the bedrooms are large, the beds excellent, and the baths magnificent. Easy entry access, plenty of private parking, gentle walks from the front door, simple driving access to Shaftsbury, Salisbury, Abbotsbury, Bath, and a pub across the road...We will hope to return often. We had a very enjoyable stay at the dairy. The kitchen and living area were a great size with good quality appliances in the kitchen. The bedrooms were all a good size with comfortable beds and very good bathrooms. The owners have obviously put a lot of thought into the decoration and furnishing to create a very smart but comfortable place to stay. The dairy is in a very peaceful setting, we didn't want to leave!